The best approach to asking someone for help when we’re too afraid to ask. 7 Day Self- Love Challenge! In The Naked Truth: A Woman’s Journey to Self-Love, Joie takes you inside the limiting beliefs that may be keeping you stuck. She lets you see the raw and painful side of womanhood and how you can glean important lessons from every twist and turn. 2:30 Be a part of our 8 Week Sky Fit Challenge! 5:50 How her past experiences have shaped who she is today. 8:00 Joie’s experience being in an abusive relationship and how she was able to heal and grow because of it. 11:00 How Joie transitioned her conditioned thoughts on happiness and relationships. 14:00 All about Matrix Energetics and how that helped Joie to realize that she need to change her life plus how she uses it to help her clients. 23:00 How Joie was able to enter a new relationship once she accepted and fully loved herself. 25:30 Joie’s relationship with her father and what it was like being his daughter. 28:40 Her experience dealing with her parents’ divorce. 33:00 How can we be present in the moment when running on old software in our minds – how we think, how we see ourselves. 37:30 Why Joie decided to primarily work with women, what she’s learned from them and how that information can help men. 41:00 Why is it so hard for both men and women to ask for support? 43:10 What are some ways that we ask someone for something when we’re too afraid to ask? 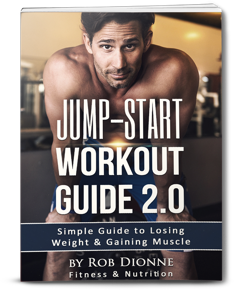 44:40 How can we show ourselves more self-love and self-care when it comes to fitness and wellness? 48:40 The difference between having healthy habits and bad habits. 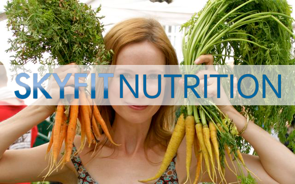 50:00 How Joie has helped women get through their negative thought process towards becoming healthy. 1:00:30 Check out next week’s episode on adrenal fatigue! 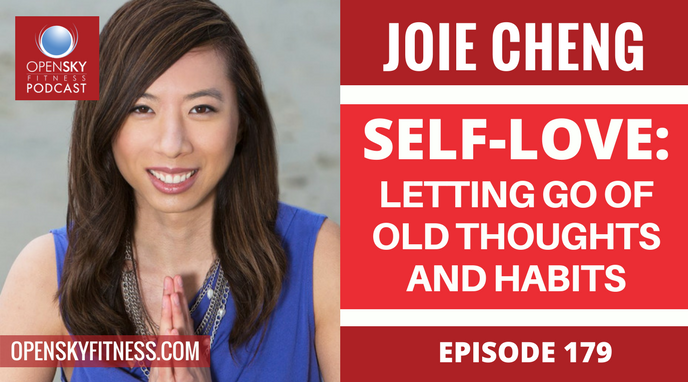 Thanks for listening/reading Episode 179 with Joie Cheng: Self-Love: Letting Go of Old Thoughts and Habits! We hope you have gained more knowledge on how to be a healthier you.